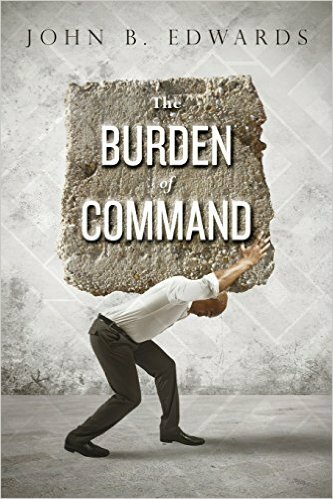 The Burden of Command - JB Edwards and Associates L.L.C. This book was written as a result of the requests of the hundreds of “lion hearts” in law enforcement who sat through my classes and seminars regarding this subject. This book serves as a manual to prepare anyone to navigate through the myriad of issues and roles and responsibilities that result from being placed in a position of leadership. All too often people are placed in authority and appointed to a position as a supervisor or manager without the benefit of any training regarding how to lead. Thus, they are thrown into a scenario where they learn through trial and error methods that use those under their charge as “guinea pigs” or test cases. Through simple, basic, and fundamental strategies and practical application of proactive tactics one can achieve an advantage and mitigate problems. This book provides those strategies and describes those tactics in an understandable way. Complete with real life examples and detailed lists, this book is designed as a leadership and management “primer” for both public and private sector supervisors to produce a blend and balance as well as exemplary management function and premier leadership qualities that will enhance the performance of any organization. I was gifted BURDEN OF COMMAND; a new job that I landed meant that I would be a leadership position of sorts. To be honest, I hadn’t really thought much of it. I just assumed that, as a leader (or manager, or commander, or however you want to think of it), I would just be doing what I’ve always done, but this time, I’d just tell others what to do. It’s easy to think of promotions that way: that our new jobs will require more of the same skills/talents/know-how that our old job did. But that’s not really how it works. Or, it’s not really how it works if you want to be an effective leader. Whatever job you had before, you’ll still need to know that stuff, but as a leader, you’ll need a new skill set. And a new mindset. BURDEN OF COMMAND is all about the mindset needed to be an effective leader: the communication, the self-awareness, the attitude. Perhaps the most interesting thing about the book lies in its title. When we think of command or leadership, we often think of it as a source of privilege. Author John B. Edwards’ approach is that leadership, if you want to do it well, is tough. It’s a burden. It’s a burden, but it’s a rewarding load to carry. BURDEN OF COMMAND is at its best when it is at its most informal. Edwards’ stories from the field are fun and interesting, but they’re just as useful as anything else in the book. One of the points Edwards raises in the book is the usefulness of storytelling: as both a relationship-builder and a pedagogical tool. It’s not surprising then that his use of stories both endears the book to the reader while providing thoughtful lessons. It’s one of the many tools I’ll be using in my new job to make myself more effective. Recommended for anyone taking a position where they will be responsible for others’ actions. If you’re new to a leadership job, or if you’re looking to hone your existing toolbox of skills, BURDEN OF COMMAND is an incredibly useful resource. Having had the honor of working with the author from time to time over the years, I can say that this is truly a man who practices what he preaches. John leads by example, never micromanages, turns his people loose to do what they do best, and understands what it takes to get the very best out of his employees. When correction is needed it is done in such a way as to improve future performance, never to degrade the employee. Seldom have I seen such loyalty among employees as I saw with John’s. I’m absolutely convinced that if John had come into the office one morning and said, “Gentlemen, I think I’ll go to hell tomorrow” his employees would have responded, “What time do we leave?” We are fortunate to have one with such superb management skills put it into print. The book is excellent.